A binding drill rig contract has just been signed for the Hawkeye-1 well in the Philippines. This is the official green light for the spudding of an offshore drilling event targeting 112 million barrels. 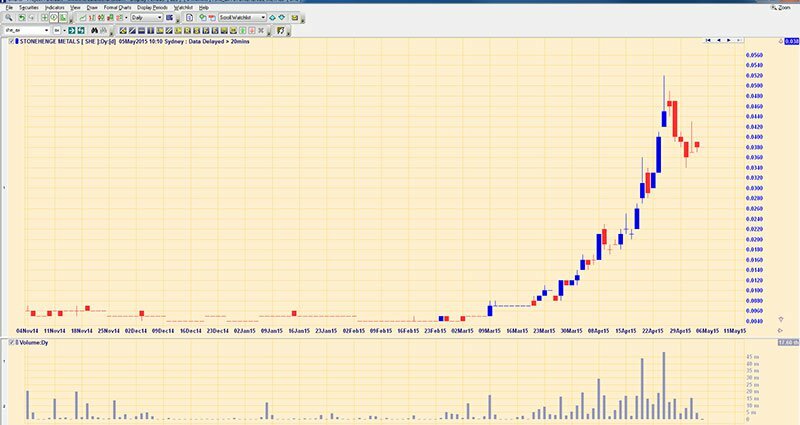 In just a few weeks’ time, investors in $13M AUD market capped Red Emperor Resources NL (ASX:RMP; AIM:RMP) essentially have a 1 in 3 chance to make over 20 times their money. Success is no guarantee, and you need to decide whether this opportunity suits your own investment strategy. We will explain at how we arrived at these numbers below. RMP are currently sitting on about $12M AUD in cash, and will still have around $6M AUD after drilling – so given their market cap is $13M AUD, almost no value is ascribed to the upside potential of this upcoming drilling event. The Hawkeye-1 well is to be drilled in Block SC55 in the Philippines by RMP’s JV partner and operator; the $130M AUD capped Otto Energy (ASX:OEL), who has a 78.18% working interest and a proven track record in the region. With the looming spud date approaching, this is the exact kind of stock that catalysthunter.com looks for. Based on the above numbers, should RMP successfully strike oil in the coming weeks, the company’s market cap could multiply 20 times over. This is no guarantee however, and many variables apply which could impact the result. RMP’s JV operator Otto Energy estimates it will take 23 days from spud to release of the rig – it won’t be long until we get a result. It is an opportunistic time for RMP to drill for oil offshore. The global price of oil is in a temporary down cycle at the moment, and rig costs have been slashed globally. The well cost for Hawkeye-1 is estimated at around US$30-$35M– at any other time the cost for this event would be upward of US$50M – a low cost hydrocarbon discovery could be made in the coming weeks. The company’s spend for its 15% stake is capped at US$5.625M, less than half of its current cash reserves. RMP will still have between $5 and $7M AUD in the bank after drilling to fund future endeavours. RMP also has a 20% share of two other oil assets in Puntland, Somalia and Georgia; both of which have shown the ability to be potential company making assets in the past. The Hawkeye-1 target was identified and worked up to a high level through a Joint Venture between Otto Energy and BHP Billiton (ASX:BHP) on the SC55 Block. BHP farmed into this Block on the back of its significant prospectivity. The JV shot extensive 3D seismic over area and worked up two targets – Hawkeye-1 and Cinco – a 1.6Tcf gas target to be drilled later down the line. However, a corporate review of BHP’s global operations led it to exit its entire South East Asian portfolio, and under exit terms, the company is contributing US$24.5M to the imminent drilling of Hawkeye-1. 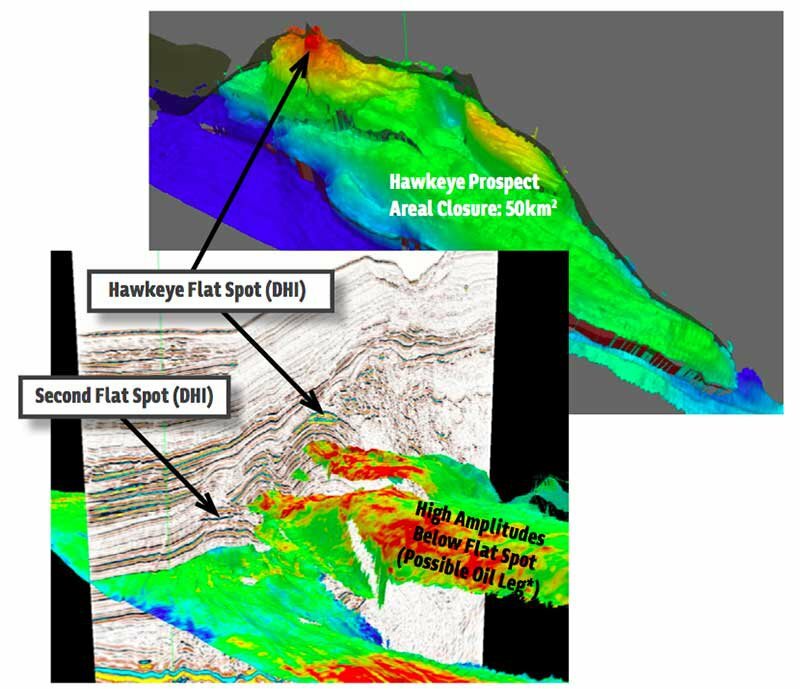 The JV of which RMP is now a part of, as well as the cash injection, retained all of BHP’s technical input, and is now armed with this data for the imminent drilling of Hawkeye-1. The Operator estimates it will take 23 days from spud to release of the rig and an oil pocket could be penetrated within a fortnight of spudding. And because of the potential gas cap, there is the upside that even if oil isn’t discovered, a hydrocarbon discovery would more than likely add significant value to the SC55 Block. RMP’s Hawkeye-1 well could also prove to be the key that unlocks a new oil and gas frontier for the Southwest Palawan basin offshore the Philippines. 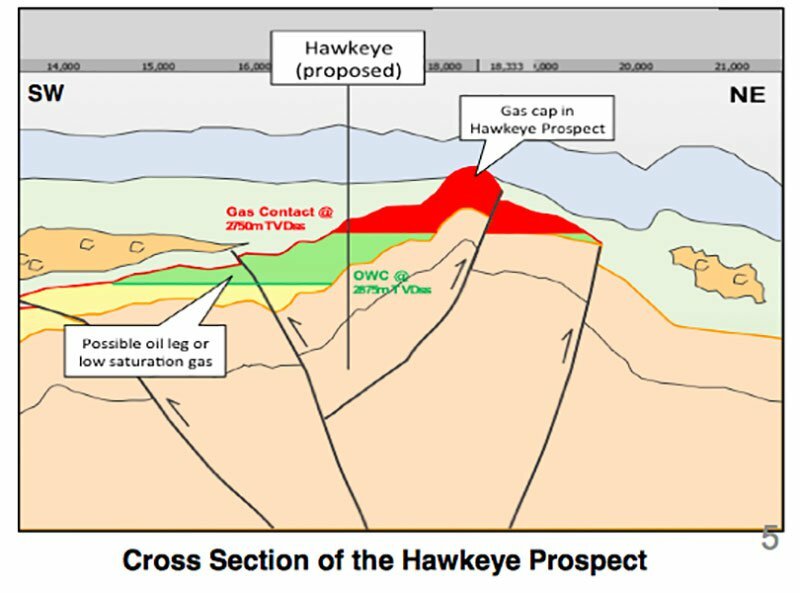 The JV has nine additional gas drilling targets worked up in the vicinity of Hawkeye-1, and RMP will have the opportunity to participate in these drilling events as they come. RMP’s JV partner Otto Energy is a vastly experienced operator in the region, having operated the Galoc Oil Field and sold its stake for US$108M. It has an excellent relationship with the Filipino government and is a seasoned offshore explorer. All of which are benefits that RMP can leverage from. In just weeks, the ultra-deepwater drillship Maersk venturer will arrive at RMP’s Hawkeye prospect and spud the Hawkeye-1 well. The drill bit will punch through an anticipated gas cap below the sea floor, then in as little as 1000m beyond the mud it could hit a pocket of oil. From there, the drill bit could go on to discover a mid-case of 112MMbbl oil. With 14.3M of those barrels net to RMP, this well could be worth as much as $280M AUD – RMP is currently capped at just $13M AUD – so there is significant upside leverage on a successful outcome. RMP is spending just US$5.625M (potentially less) to participate in this imminent drilling event, and will still have $6M AUD in the bank account after this. Beyond Hawekeye-1, RMP should have the opportunity to participate in the drilling of up to nine additional gas targets with 18.6Tcf of gas potentially up for grabs. Oil and gas exploration is high risk – but it’s also high reward – and RMP could see great interest in the coming weeks as the drilling event ramps up. RMP’s Hawkeye-1 well is beginning imminently with results expected within 12 days of spudding. We won’t have to wait long for an outcome on this one.